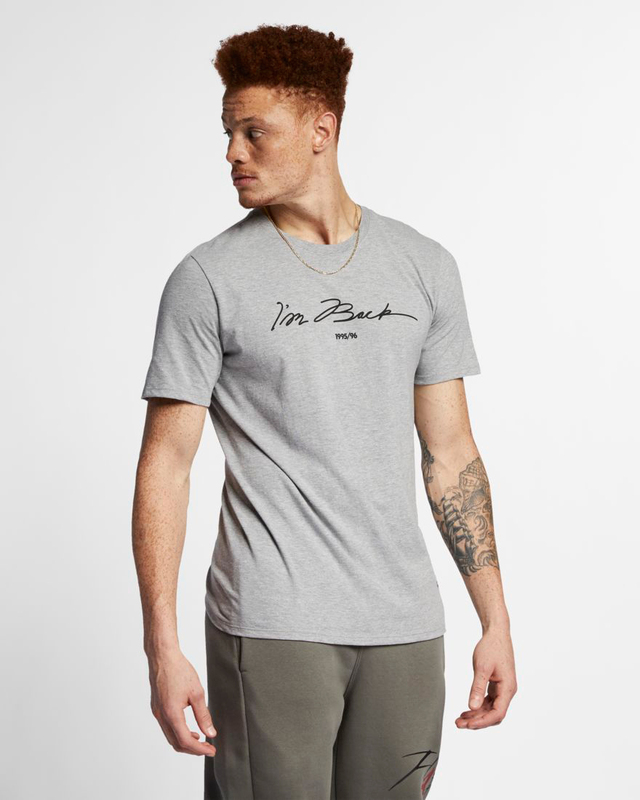 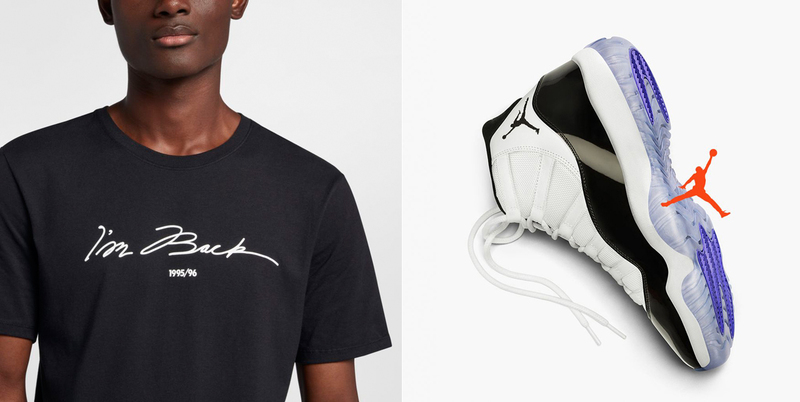 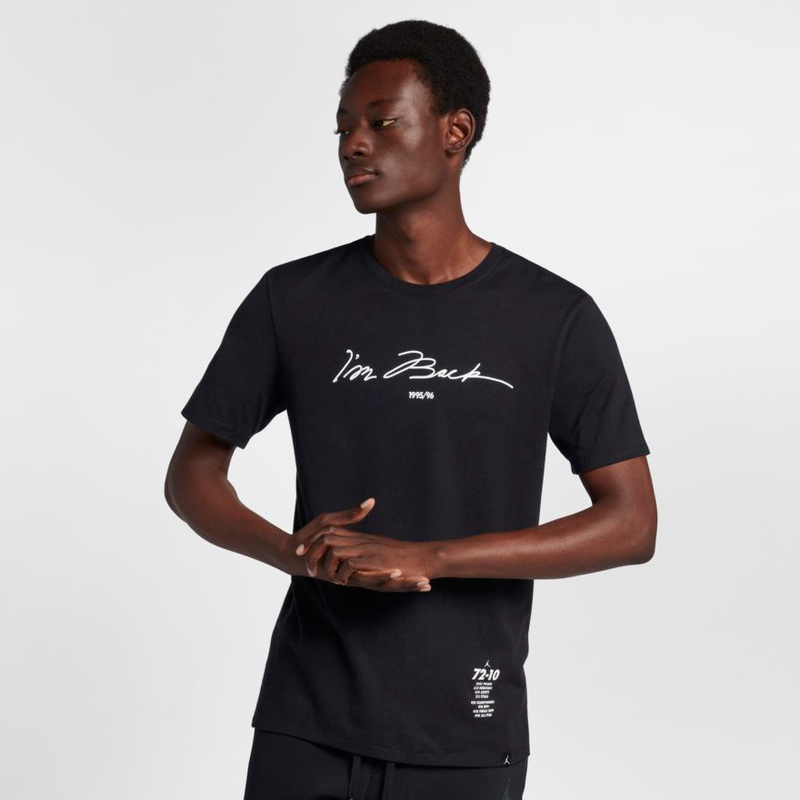 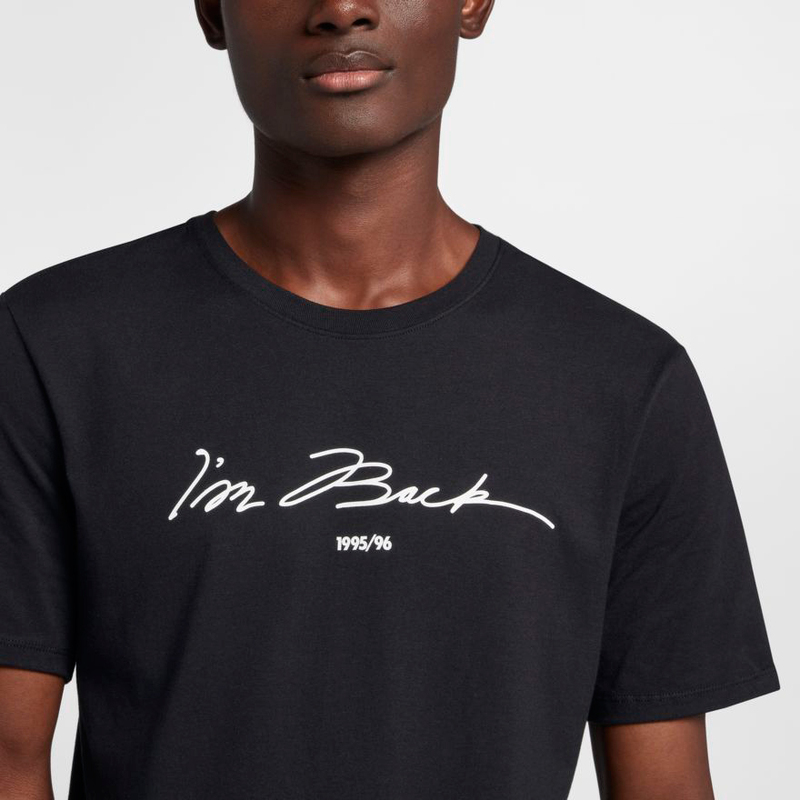 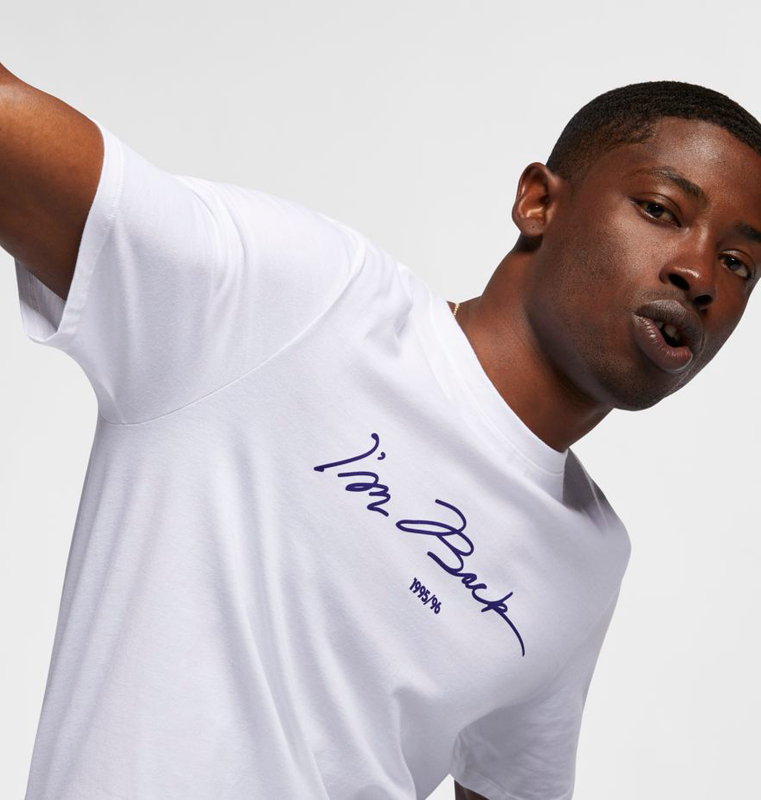 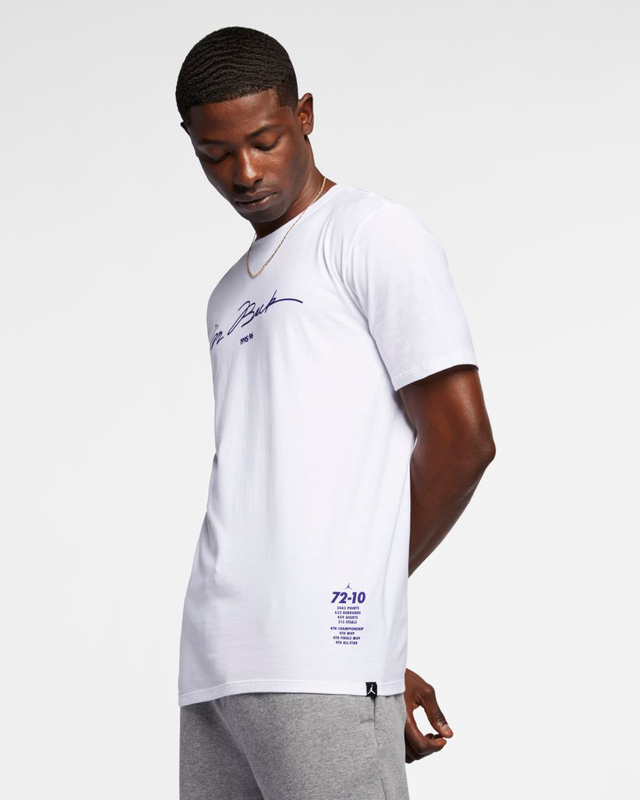 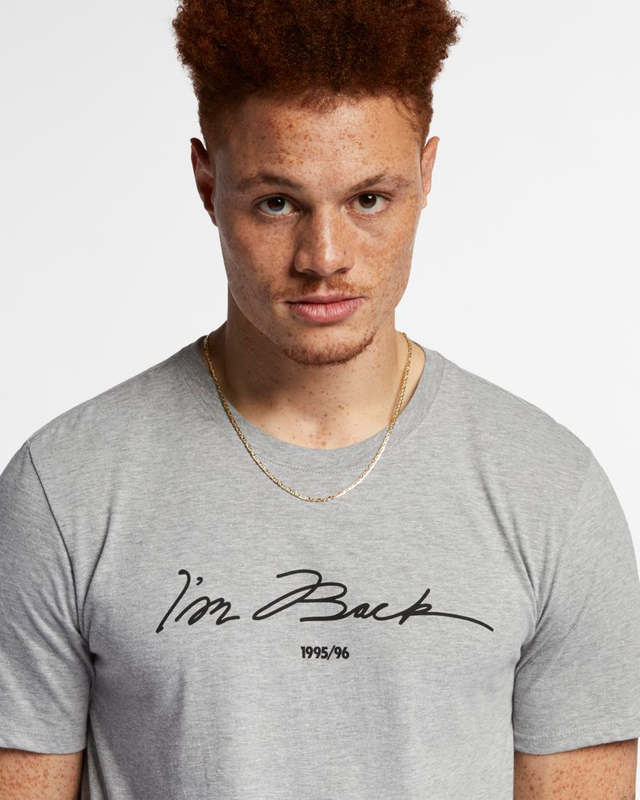 Along with the 2018 return of the Air Jordan 11 “Concord” sneakers comes the Jordan Retro 11 “I’m Back” T-Shirt in tribute to MJ’s return to the game. 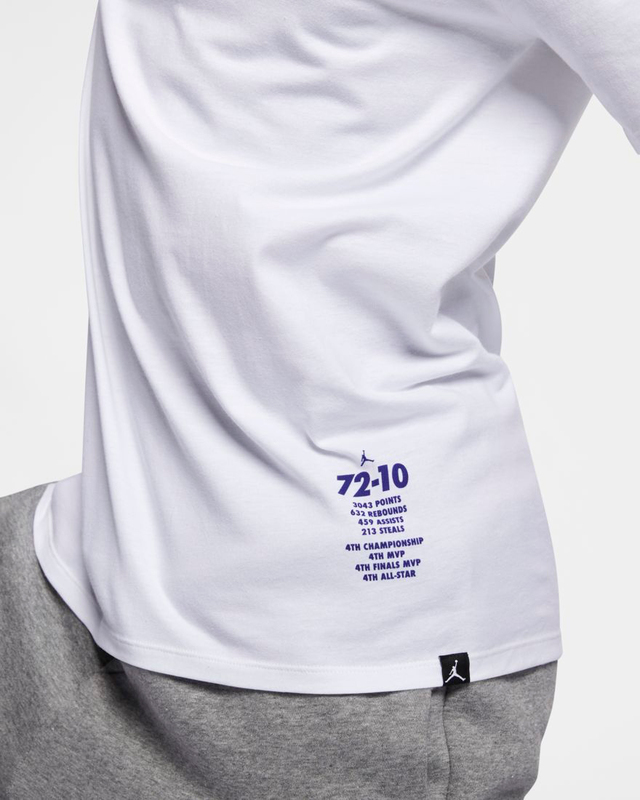 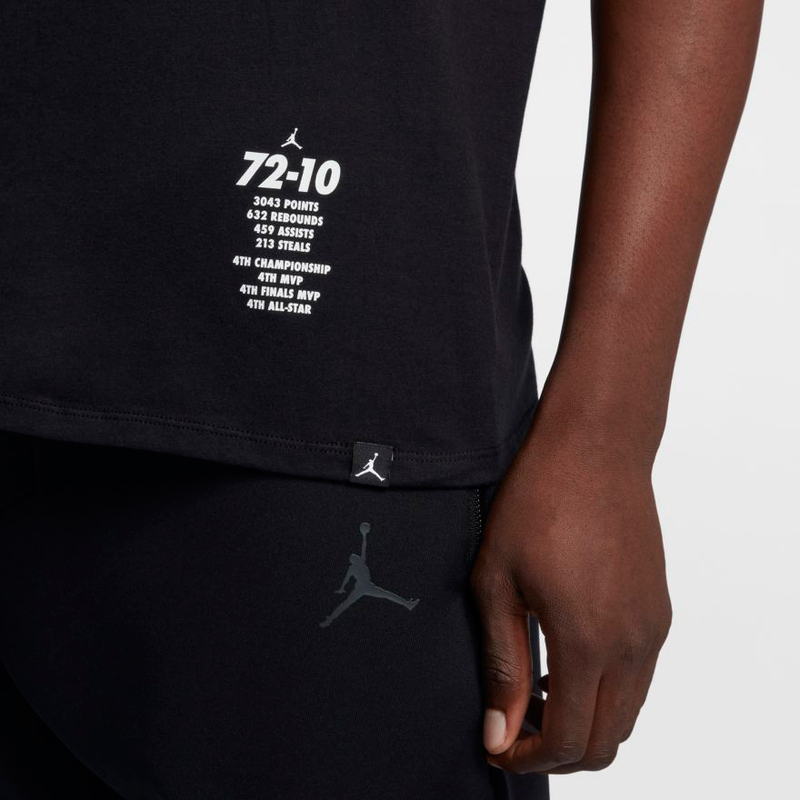 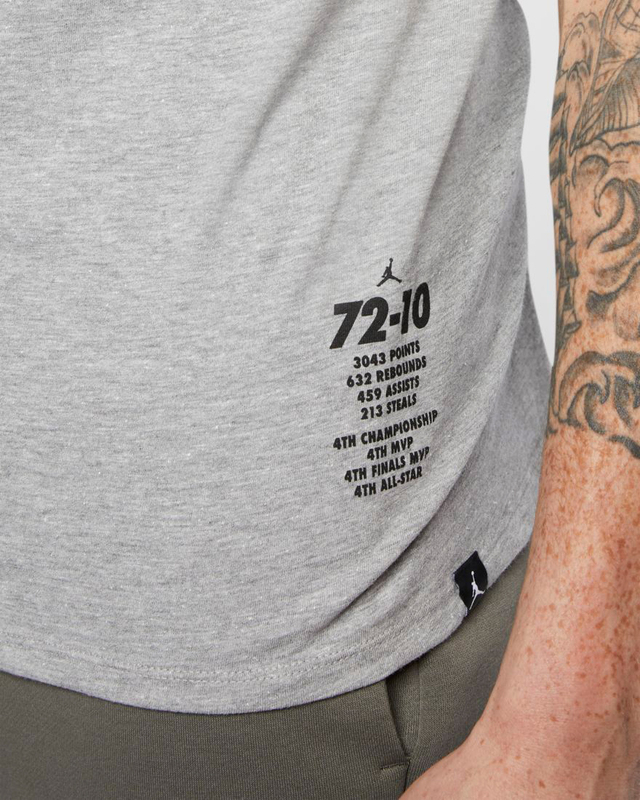 Available in black, white and grey, these Jordan 11 sneaker tees revisit Michael Jordan and the Chicago Bulls’ epic 1995-96 championship season with the message of MJ’s return on the front and the team’s 72-10 record included alongside some of Jordan’s career stats and milestones. 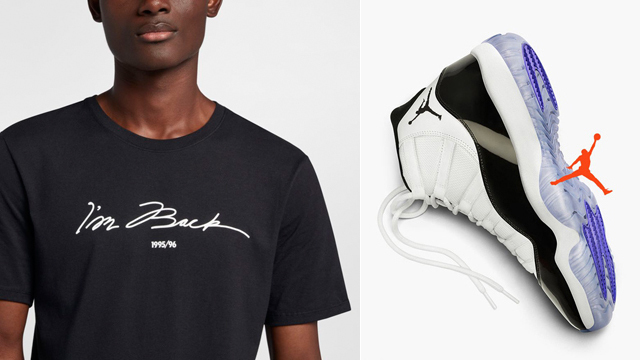 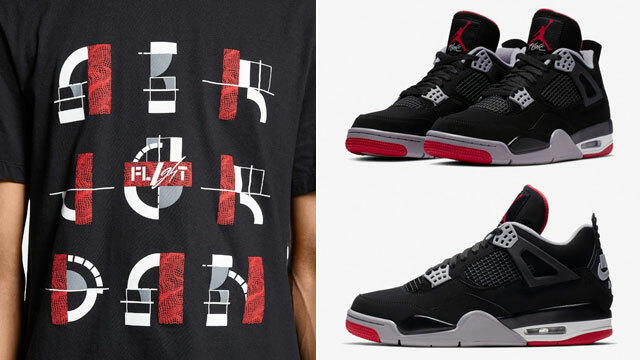 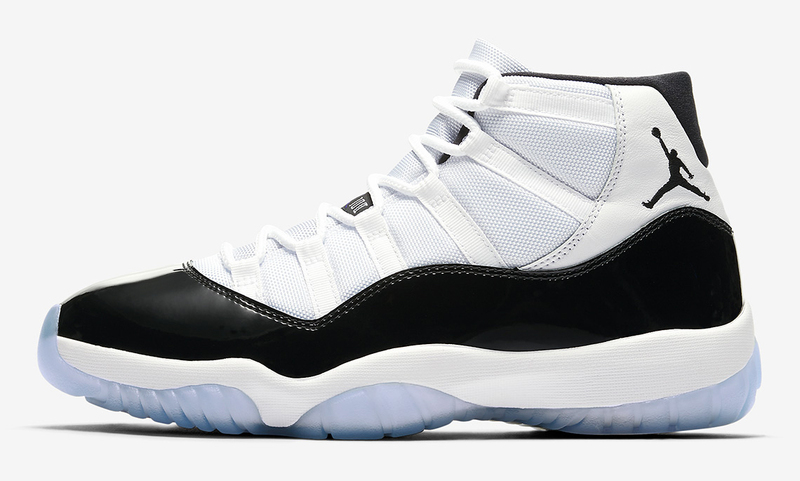 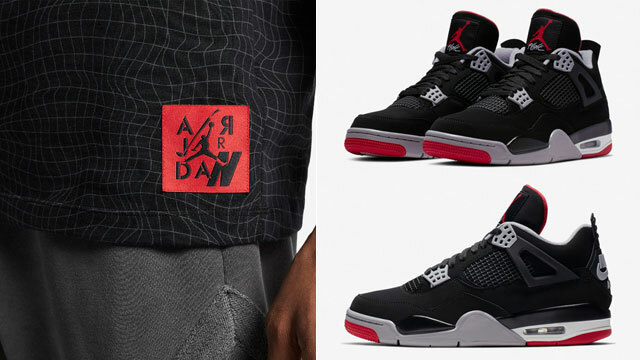 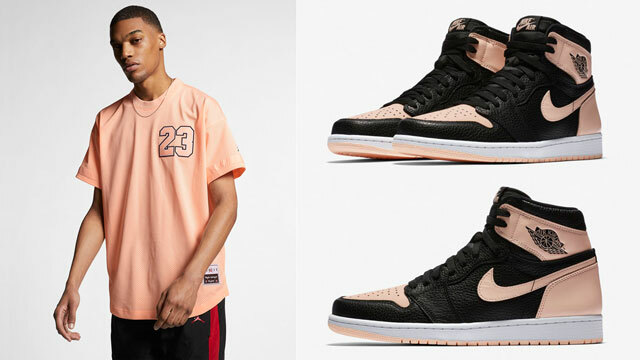 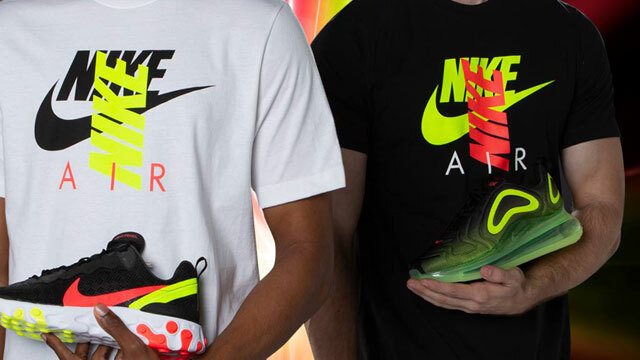 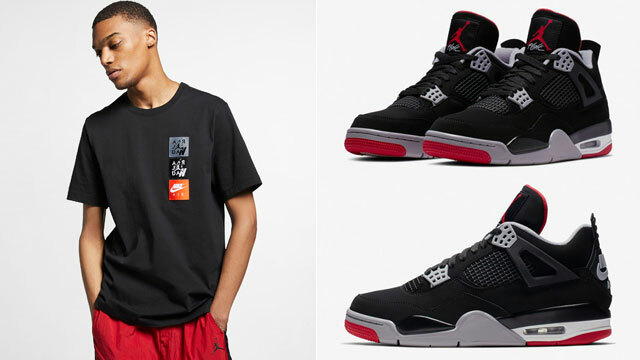 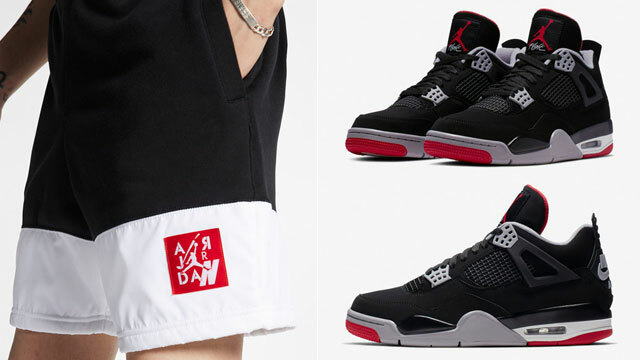 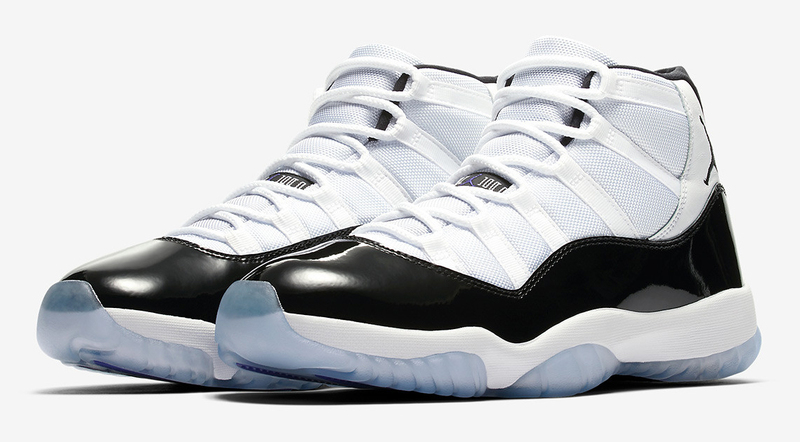 You can shop the shirt in all three colors to match the Concord 11 shoes below.